Morgan Stanley said it is reducing its forecasts for earnings before interest, taxation, depreciation and amortisation (EBITDA) by Macau casino operator MGM China Holdings Ltd for this year and next. A note by the investment bank said it expects MGM China EBITDA this year to be HKD4.86 billion (US$619.24 million), 12 percent less than it forecast before and 9 percent less than the market consensus. The brokerage expects EBITDA next year to be HKD6.77 billion, 17 percent less than previously forecast and 4 percent less than the market consensus. The note published last Friday says that MGM China has been hampered by fewer allocations of gaming tables to its MGM Cotai property (pictured), as well as delays in the opening of VIP rooms and mansions, slowing of the ramp-up of business in the mass market, and cannibalisation among the casinos based on the Macau peninsula. Despite these short-term setbacks, the brokerage is optimistic that MGM China earnings will grow in the longer term. 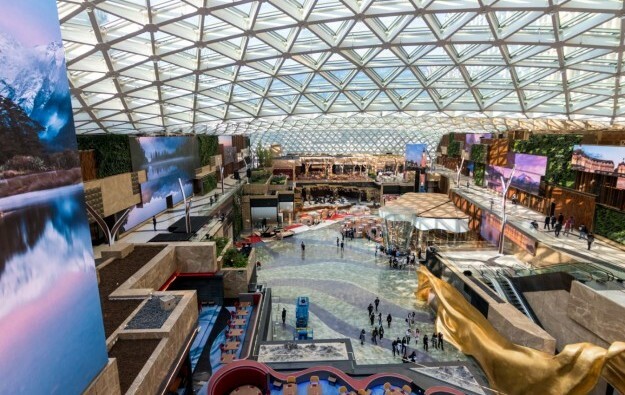 The note authored by Praveen Choudhary, Jeremy An and Thomas Allen predicts the casino operator may begin to do more business in the VIP market and premium mass market in the fourth quarter. The memo said this is because competition in Cotai is limited, the product will improve and the company is set to obtain 25 more gaming tables next year. The report said MGM China will show the strongest EBITDA growth among the gaming companies next year as the HKD27-billion MGM Cotai becomes established. The MGM China property in Cotai opened in February and boasts more than 1,390 rooms. The MGM Cotai resort got 100 new-to-market live dealer tables when it opened, with the promise of another 25 in January next year.